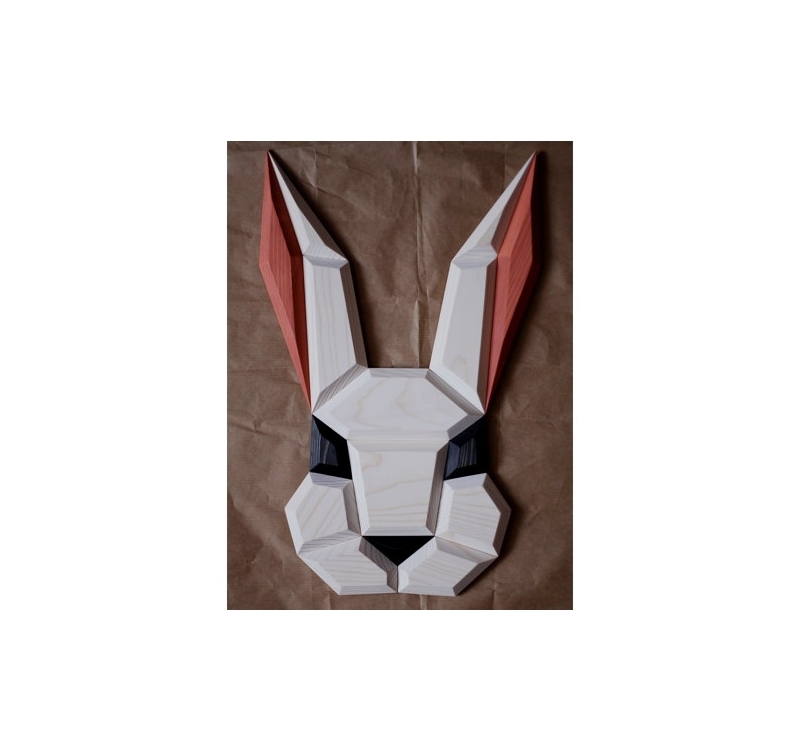 A cute little rabbit in a design wall deco ! 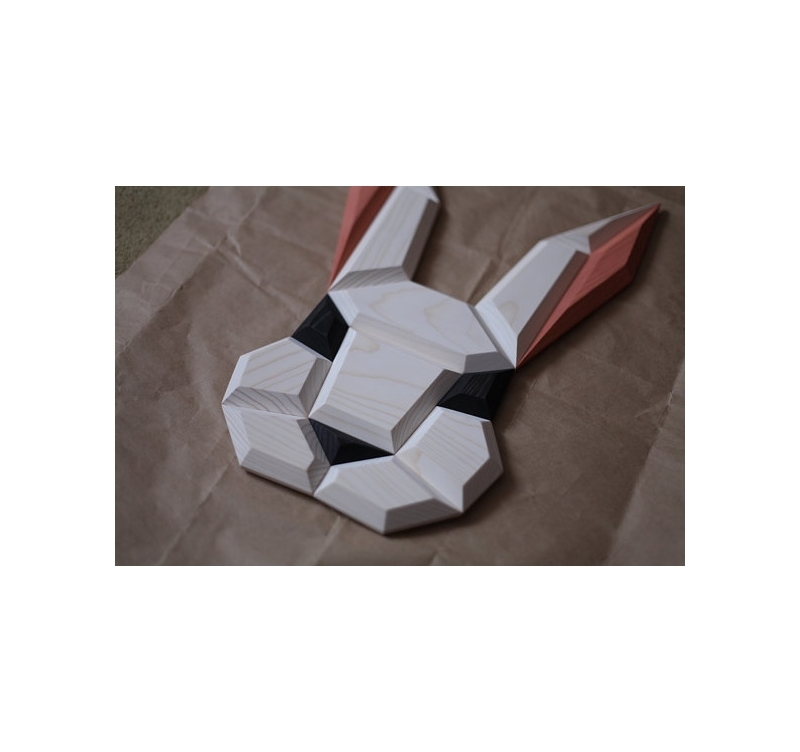 Embellish your walls with this wood wall decoration entirely hand made. The dimensions of this contemporary wall trophy are 33 x 54 cm. All our animal heads decorations are delivered free in metropolitan France and Belgium. 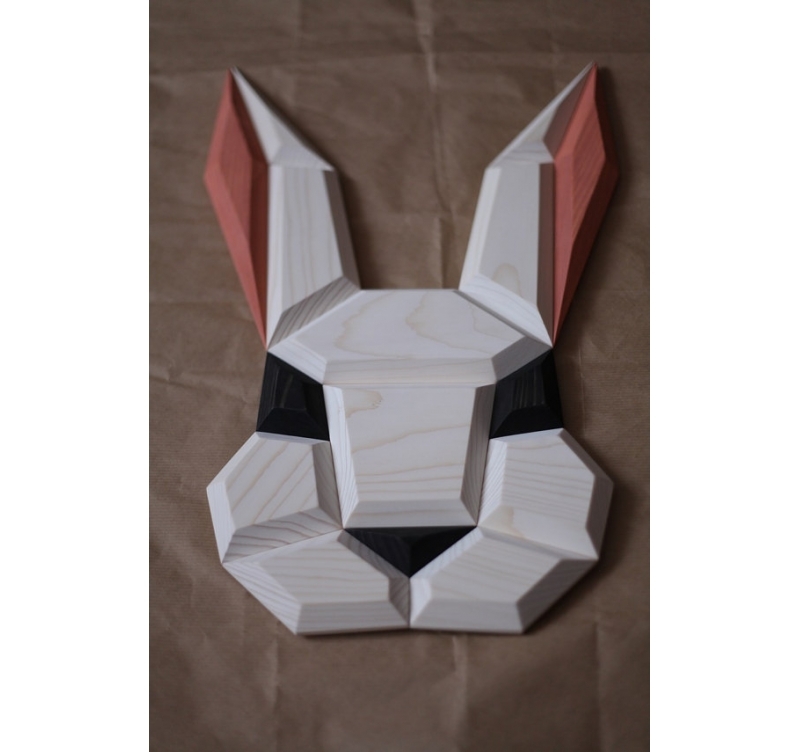 With long ears and a smart look, discover our rabbit shaped design wall decoration ! 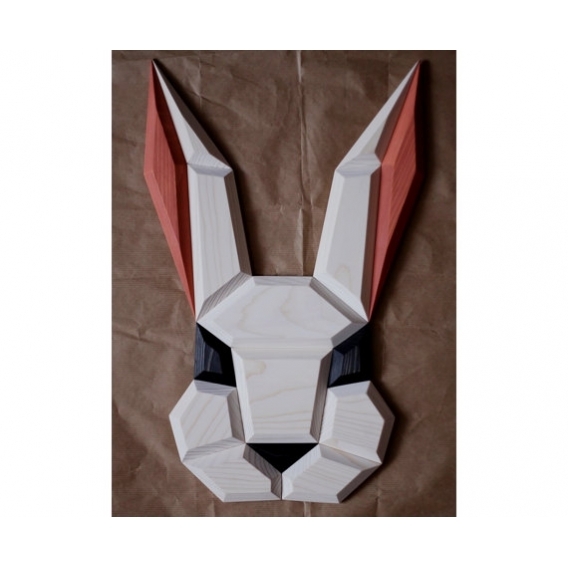 This rabbit head animal deco will be perfect to bring light colours to your interior decoration while keeping its design aspect. 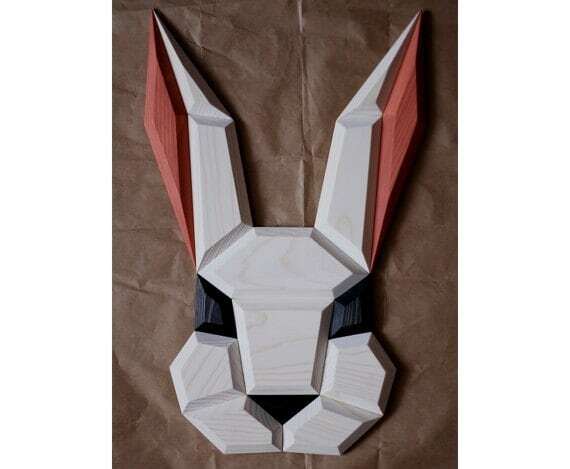 Made of spruce wood for a better quality this design wall trophy is entirely hand made by our creators getting their inspiration from origami and geometrical shapes. You can hang up this modern wall decoration in your children’s bedroom, thanks to its integrated hanging system, to brighten up their walls with a nice and stylish deco. The delivery is free in metropolitan France and Belgium for all our animal head wall decorations. They are protected by paper and hard cardboard for safety. Please note that each rabbit head deco may differ in grain. Do not hesitate to discover all our deco wall trophies to create your own realisation and make of your walls a real design and contemporary work of art.